Unfortunately, winning a court battle does not always mean your legal struggles are over. In some cases you may be forced to attempt to maintain a favorable outcome, or if the original ruling was not in your favor, you may be seeking to overturn an adverse ruling. In order to successfully accomplish either of these outcomes, you must have a clear, concise appellate brief and preservation of the issue for appeal. The appellate lawyers at Peck Hadfield Baxter & Moore are extremely experienced in providing concise, powerful appeal briefs as well as in delivering persuasive oral arguments. We have the necessary skills to identify the critical legal issues of your appellate case based on the applicable standards of review. Whether you are a public or private company, an individual, a governmental or non-profit organization or an industry group, Peck Hadfield can help you with your appellate case. A reversal of an improper summary judgment in the Utah Court of Appeals for a legal malpractice case arising from a semi-truck accident. A reversal of summary judgment in the Ninth Circuit Court of Appeals against the Caribou County, Idaho Jail resulting from the death of an inmate. 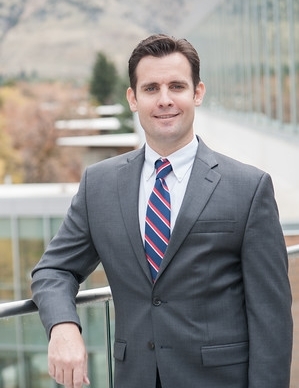 A reversal by the Utah Supreme Court of a trial court’s decision not to submit a property dispute involving the taking of real property to the Utah Property Rights Ombudsman’s Office. The Federal Circuit Court of Appeals affirmed a San Diego jury’s verdict upholding the validity patents owned by a Utah-based business. The Tenth Circuit Court of Appeals affirmed a Salt Lake City jury’s verdict and denial of attorney fees to the other party. The Peck Hadfield attorneys understand that no one truly knows a case like the attorney who tried it, therefore we go out of our way to work closely with trial attorneys to ensure a positive outcome on your behalf. We also understand that appellate litigation requires a different skill set; we are well-versed in the varying methods for making persuasive arguments on appeal within the legal framework mandated by appellate courts. The intricacies and specialized nature of appellate advocacy is something our Peck Hadfield attorneys are quite familiar with. Our skills and knowledge of appellate legal issues have resulted in a winning tradition for our firm, including successes in cases at the highest levels of state and federal appellate courts. Your trust is well-placed in Peck Hadfield Baxter & Moore; we are well-equipped to handle the complex mechanics of filing legal briefs in appellate court. Contact Peck Hadfield Baxter & Moore at 435-787-9700 for a comprehensive evaluation of your appellate case.